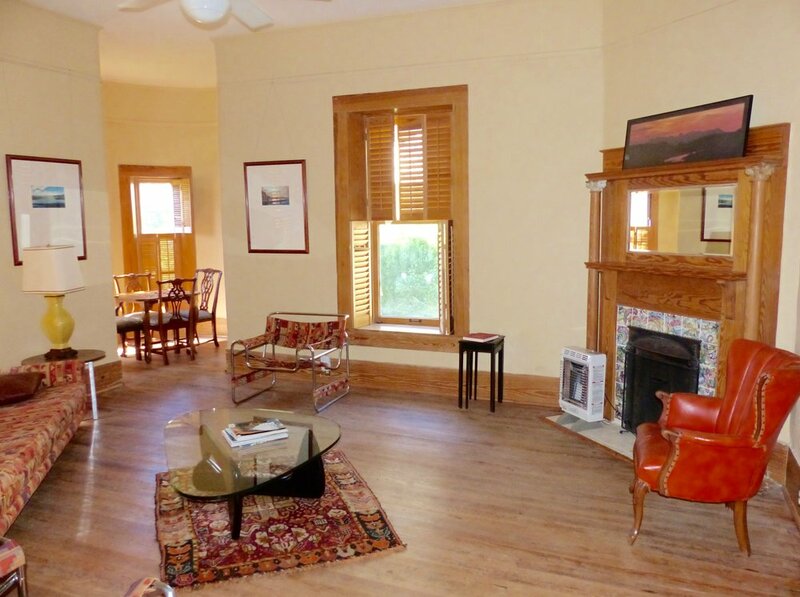 Stately Historic adobe house in downtown Marfa, next door to the Paisano Hotel with an inviting porch, a perfect place to spend a cool evening with friends enjoying the magical twilight hour in the walled private garden surrounding the property. 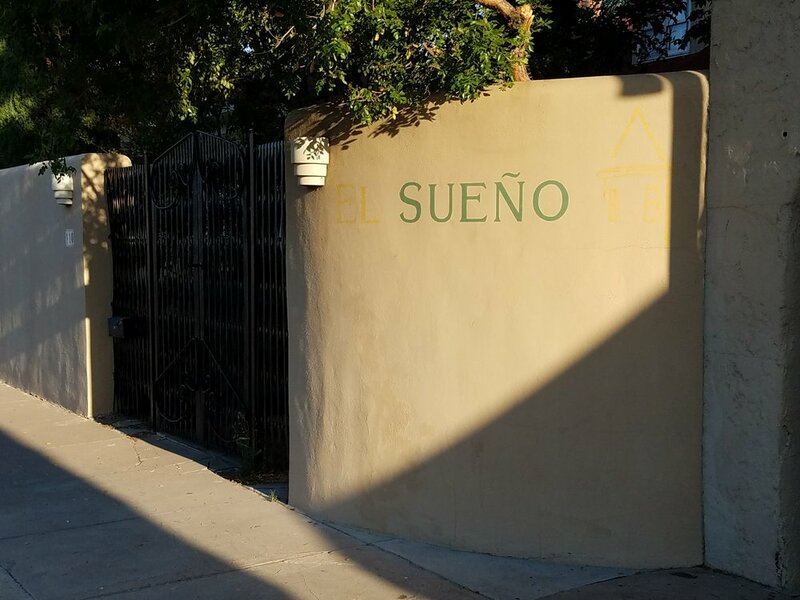 El Sueno is a perfect place to step into a relaxing gracious environment to spend with family and friends while enjoying the proximity to downtown shops and restaurants. Ceilings are high and the floor plan is open and airy making the rooms downstairs quite spacious. 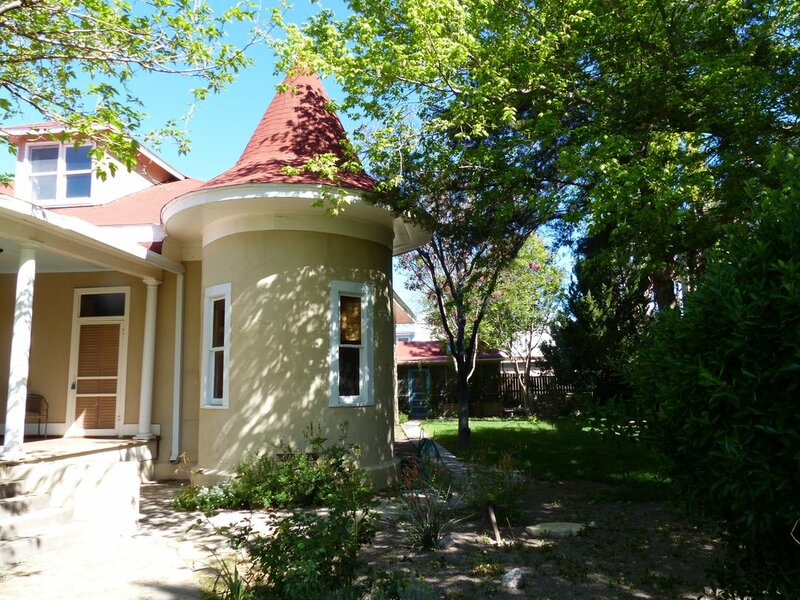 Turrets on two sides of the house are perfect reading nooks. 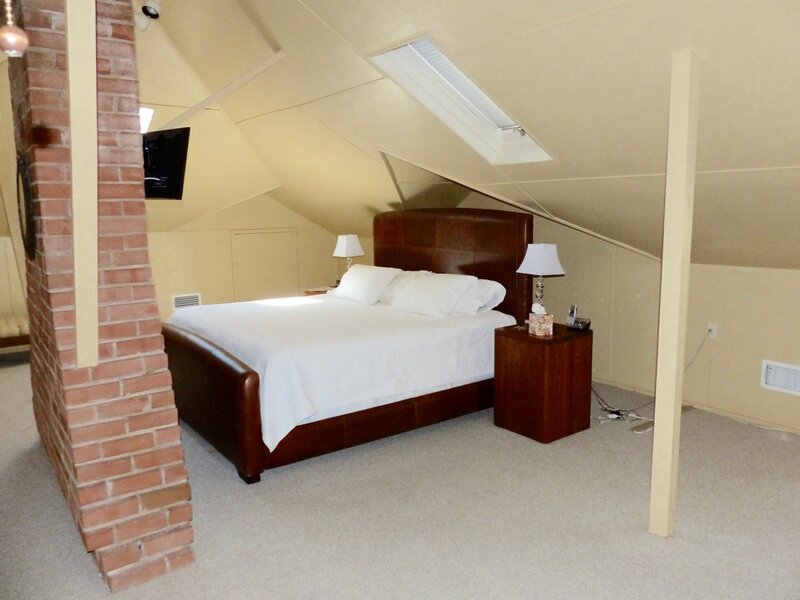 The upstairs is open with lots of space for beds. There is also a full bath upstairs with a clawfoot soaking tub. 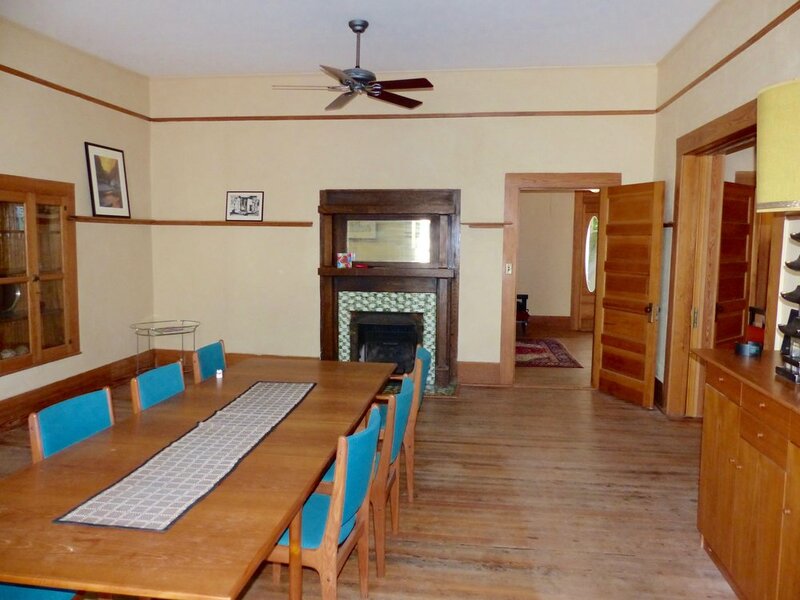 This amazing Spanish Victorian adobe can sleep ten easily with a sweet private casita in the back with sitting room, bedroom and bath off of an expansive shady porch. A new HVAC has been installed to cool the house during the few days in the summer that need it, and to heat the house in addition to gas fireplace heaters in some of the rooms. An alley access is behind the house and leads to the casita as well as a large storage area and parking so that the casita could be accessed separately from the Texas Street entry. It also provides back entrance to the main house where the stairs leading up to the loft-like bedroom. A decorative wall separates the Paisano Hotel from the large treed yard which is accessed through a wrought iron gate through a stucco high wall giving the property a private compound feel.